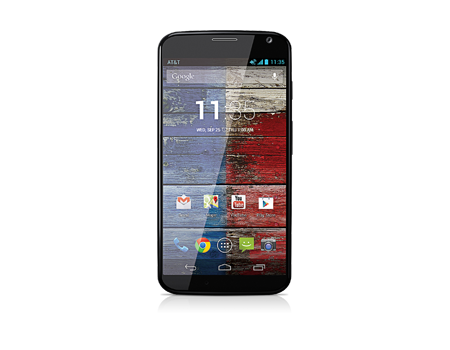 Unlocking a Moto X or Moto G – smartphones by Motorola – from their carrier (Verizon, AT&T, Sprint, T-Mobile, etc.) requires you to contact the carrier’s customer service and request your phone be unlocked. This sounds simple (and it actually is), but your phone must meet the eligibility requirements to be unlocked. [listNum]■Be locked with the respective carrier and must be in use. ■Be attached to account in good standing with the carrier. ■Have all the due amounts, installments, or any other pending funds paid in full. ■Have completed the contract tenure with the carrier. ■Not be reported for any fraudulent activity. ■Not be reported as a lost or stolen device. ■Not be involved in any kind of criminal affairs. ■Not have its IMEI blocked or blacklisted. ■Have remained active with the locked carrier for the minimum threshold time (generally 60 days or more). ■The IMEI number of your Moto. Note: You can type *#06# or go to Settings > About phone > Status in your Moto to get its IMEI number. ■The last four digits of your Social Security Number (SSN). Note: If you purchased a pre-owned Moto phone, the original buyer’s information may be required. ■If applicable, your passcode for the account. The eligibility criteria discussed above will likely be required by any US-based carrier. It takes around 2-5 business days to process and approve your unlock request. Upon approval, your wireless carrier notifies you via email and provides you the unlock code for your Moto. https /www.att.com/deviceunlock/index.html#/ and place the request to unlock your Moto online. ■Power off your already locked Moto. ■Take out the AT&T SIM card from the SIM slot. ■Insert the new SIM from the other wireless carrier in the SIM slot. ■Power on your Moto smartphone. ■When prompted, type the unlock code that you received from AT&T. ■Follow the on-screen instructions to complete the setup and to unlock your phone. http /sprintworldwide.custhelp.com/app/chat/chat_launch/?ECID=vanity:swwsupport page and initiate the live chat to request the unlock code. Domestic SIM Unlock (DSU) – When you request for the DSU, you can unlock your Moto to be used with other domestic carriers within the US only. This means, you cannot use your DSU Moto smartphone with any other carrier outside the US. International SIM Unlock (ISU) – You can request for ISU from Sprint for your Moto when you plan to leave the US for a long duration and want to use a non-US wireless carrier. Note: Unlocking your Moto with ISU doesn’t unlock your phone for DSU, i.e. you cannot use the domestic carriers even after your Moto has been unlocked for ISU. Regardless of the type of SIM unlock you wish to apply for, you must use either the given phone number or the URL for live chat to place the unlock request for your Moto for your Sprint mobile. ■Take the Sprint SIM out of the SIM slot. ■Insert the new SIM from the different carrier into the SIM slot. ■Power the phone back on. ■When prompted, type the unlock code. ■Follow the on-screen instructions to complete the process and to unlock your Moto from Sprint. https /support.t-mobile.com/community/contact-us to contact the T-Mobile customer care and request the unlock code for your Moto. ■Turn off your locked Moto smartphone. ■Take out the T-Mobile SIM card. ■Insert the new SIM card from the different carrier in the SIM slot. ■Follow the displayed instructions and type the unlock key when prompted to unlock your Moto. Since Verizon uses CDMA technology, at the time of this writing, only some of the Verizon mobile phones have a separate SIM slot for GSM networks. The phones that have such a SIM slot are already factory unlocked and can be used with a different wireless carrier’s SIM card without any hassle. However, you may still want to contact Verizon customer service department by dialing +1-(800)-256-4646 to get detailed information about your mobile phone and its compatibility with other wireless carriers. Question How to sim unlock my htc one m9 ? How would I go about asking a metro pcs employee about to unlock a phone so that i can get it for free? How do I Unlock my Network-Locked Lg G Vista?